Travel days are not always the part of the trip everyone looks forward to the most, but they certainly have their own enjoyable features that we can all agree on, such as opportunities to stop at fun roadside attractions, gazing in awe at the beautiful scenery passing by your window and, of course, the anticipation of arriving at your destination. The darker side of travel days is long hours of sitting, which can very easily lead to poor circulation. 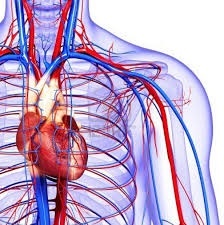 Poor circulation, in turn, can lead to a number of health conditions, including blood clots, less efficient transportation of nutrients through the body, less efficient elimination of toxins, and decreased heart, liver, kidney and immune system function. As if those health issues were not reason enough to be concerned about proper circulation, you should also be aware that poor circulation causes your organs and tissues to receive inadequate amounts of oxygen and can lead to heart disease, as well as other major health issues. It may not always be readily apparent if you have poor circulation, but some of the symptoms can include cold feet and hands, tingling fingers and toes, swelling (edema) in the lower extremities and wounds that are slow to heal. If you experience any of these symptoms, it is always wise to consult your physician. Stay hydrated – Drinking water can aid circulation, and staying hydrated is a good idea for your overall health and wellness. Walk and move around – The motion of walking encourages the pumping of blood back up the legs, making this a key component in improving circulation while on the road. Stand up and stretch as often as possible, and use this as an excuse to stop at that quaint little antique shop or bookstore just off the highway. Stop smoking – If you are a smoker, I know you don’t want to hear this one, but nicotine is one of the main causes of poor circulation. Elevate your feet – When sitting or lying down, elevate your feet. Even a few inches helps, which can be accomplished with a small footstool when it’s your turn in the passenger seat. Invest in a Sitting Stepper (or something similar) – The Sitting Stepper is not the only option on the market, but it is less than $10 and is small enough for easy use in the passenger seat. Plus, it folds up even smaller for convenient storage. This handy little stepper provides a low-impact, seated exercise option that mimics the movement used when walking.